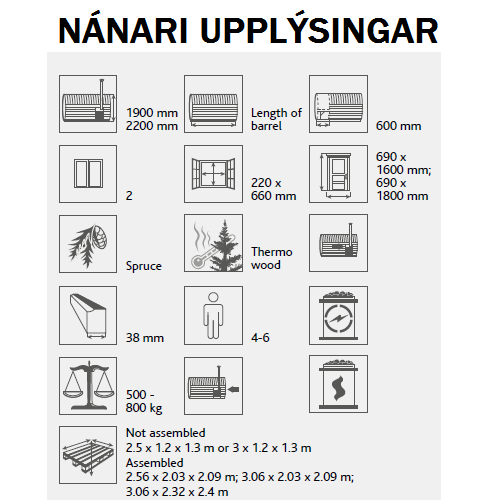 Nú er hægt á að sérpanta tunnu með ½ glerhlið, þetta verður í fyrstu eingöngu framleitt fyrir okkur. 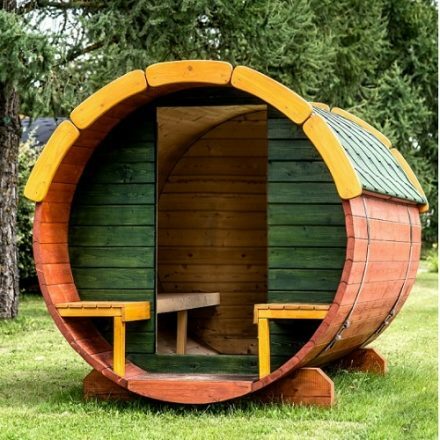 ½ útfærsla á gleri, gerir okkur kleift að kaupa og flytja tunnuna ósamsetta til landsins. 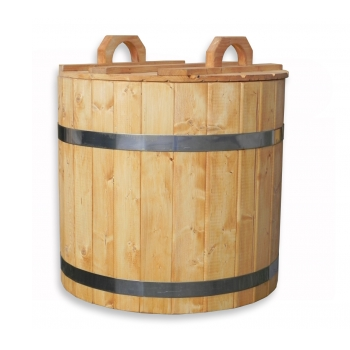 Original, functional and high quality sauna barrel is perfect for a garden or a backyard. 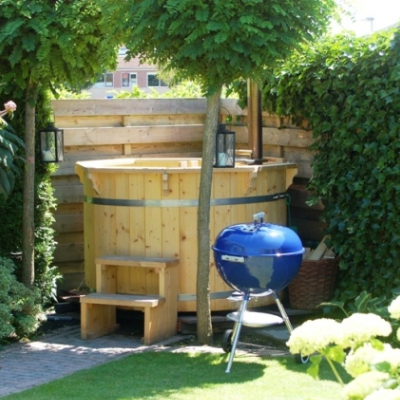 It both decorates the environment and provides bathing pleasures. 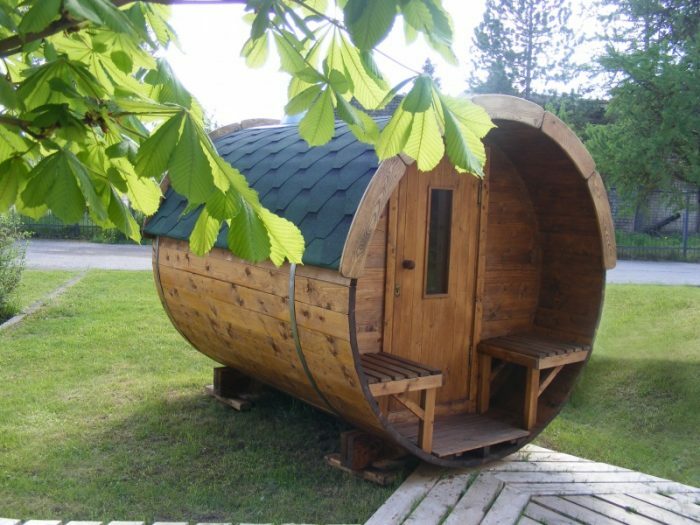 Also a regular use of sauna has obvious health benefits. 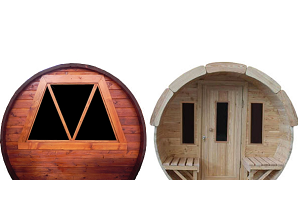 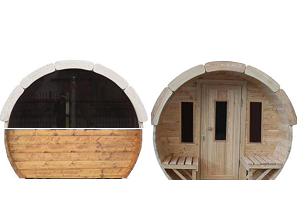 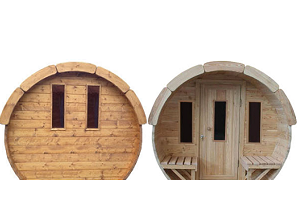 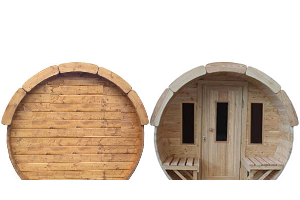 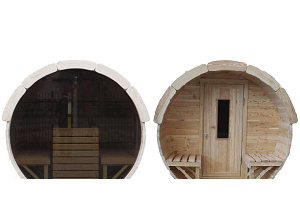 The diameter of the sauna barrel can be chosen from 1.90 m and 2.20 m, and it has 3 m long walls, thus it takes up little space and is ideal for small gardens or backyards. 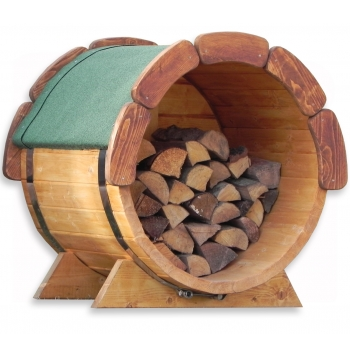 Barrel sauna can be made of spruce, or thermo wood. 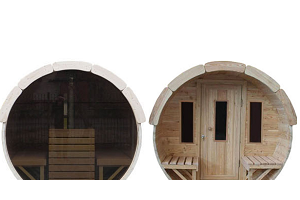 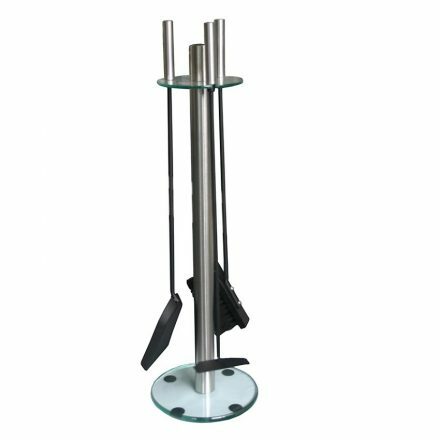 Upon customer’s request, we can install a wood-fired furnace or an electric heater in the barrel sauna. 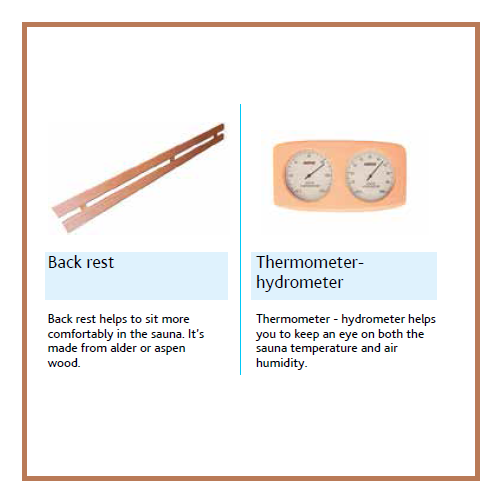 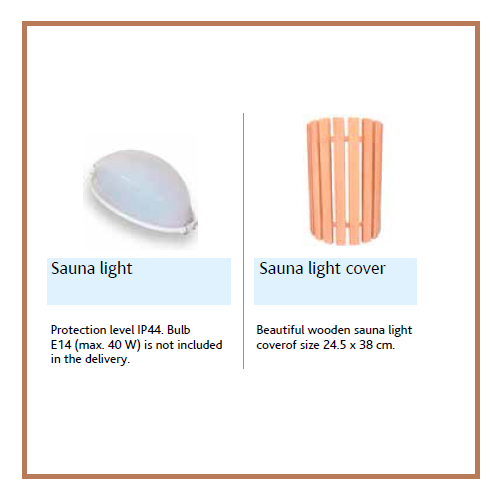 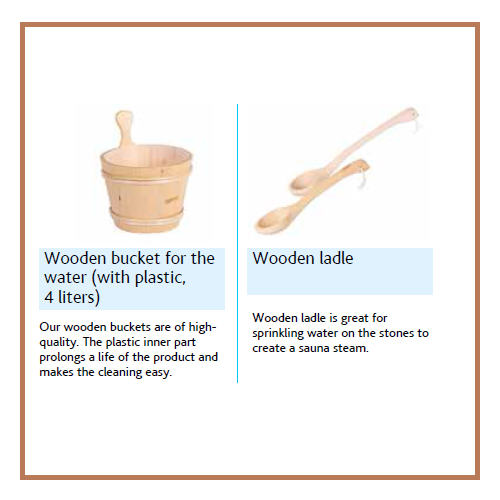 Thickness of sauna barrel walls is 38 mm; thickness of the a solid wood flooring is 18 mm. 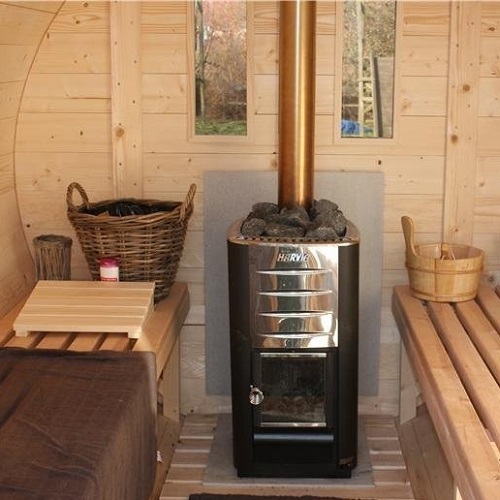 A roof of the sauna can be made of bitumen shingles (black, red or green) or wooden shingles. 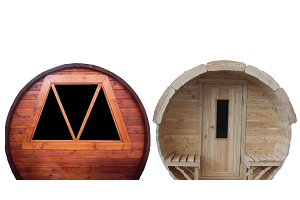 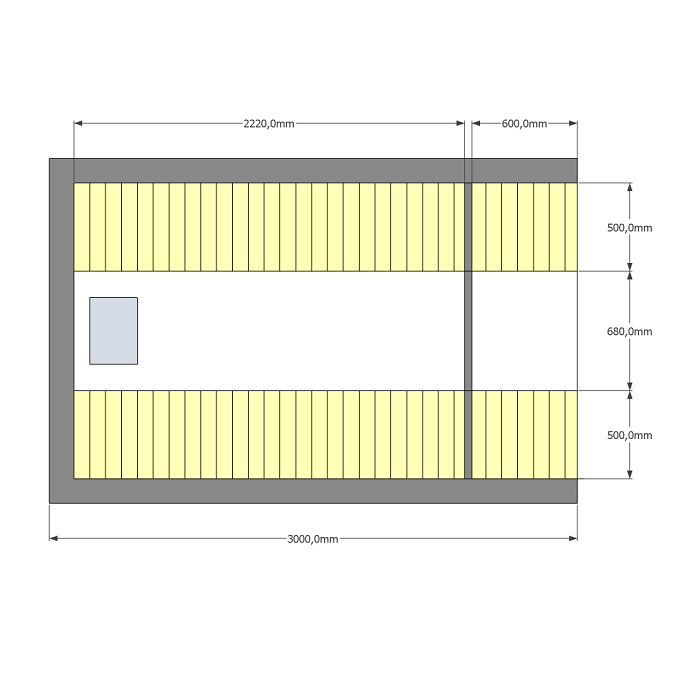 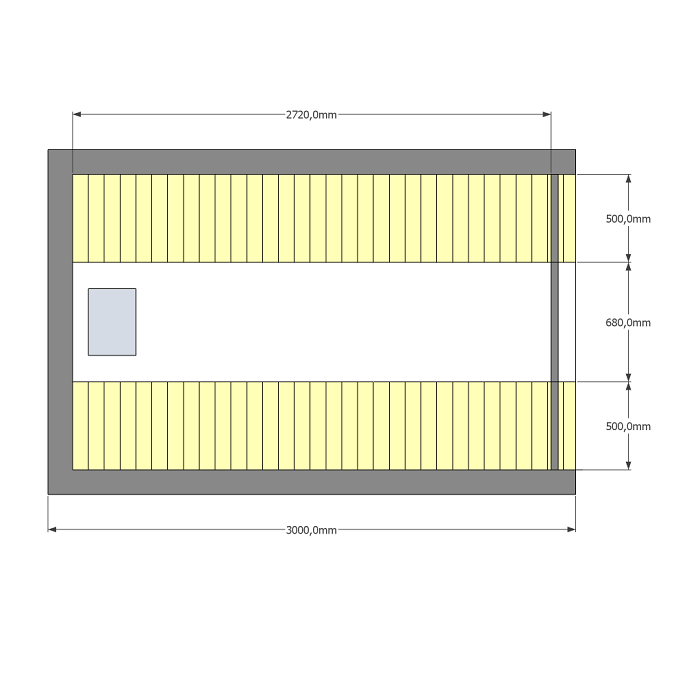 An overall height including the roof is 2.1 or 2.4 m. Also, there are 2 layout options for this sauna barrel: with or without the terrace, which means shorter or longer sauna room. 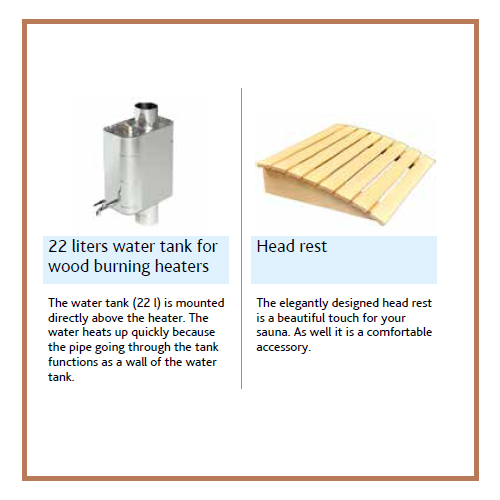 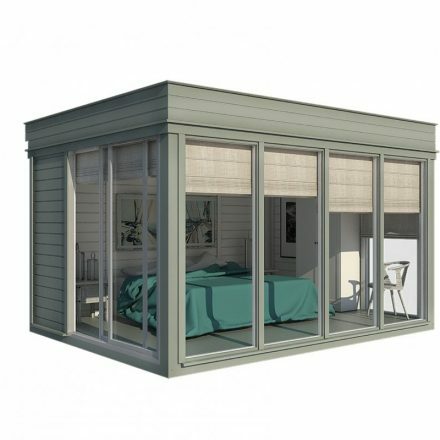 The sauna is delivered to a customer fully assembled or not-assembled, but fully complete, with detailed assembly instructions and drawings, and packed on a pallet (KIT)*. 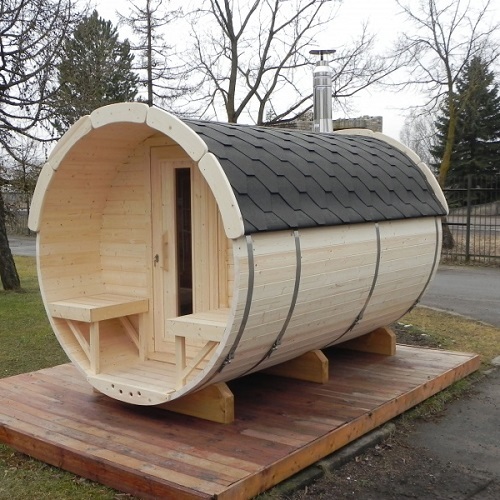 Two people can easily assemble this sauna barrel in five hours. Size of a 1.90 diameter assembled cargo (L x W x H): 3.06 x 2.03 x 2.09 m, size of a KIT (L x W x H): 3 x 1.2 x 1.3 m. Weight: 600-800 kg. 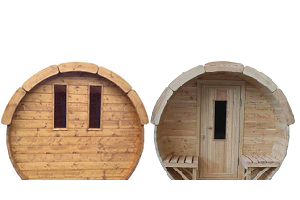 Size of a 2.20 diameter assembled cargo (L x W x H): 3.06 x 2.32 x 2.4 m, size of a KIT (L x W x H): 3 x 1.2 x 1.3 m. Weight: 600-800 kg.